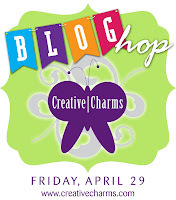 Happy Friday - Royal Wedding Day - and welcome to the Creative Charms Farewell Blog Hop. Our Design Team is transitioning to a new term and we are saying goodbye to some very talented designers and welcoming some new additions. You should be arriving here from Laura's blog. (midori@creativecharms.com) you will be entered to win the Grand Prize. 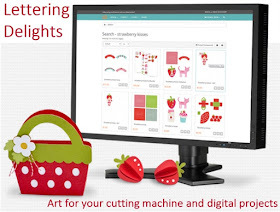 Creative Charms has so many great products to work with - it is hard to choose a favorite. I find myself reaching for the Gradient Gem Stickers and the Pure Blossoms to give just the right finishing touch to many projects. Since it is the day of the Royal Wedding, I decided to make a simple wedding congratulations card. I used two shades of Core'dinations gemstone cardstock (opal and pearl). 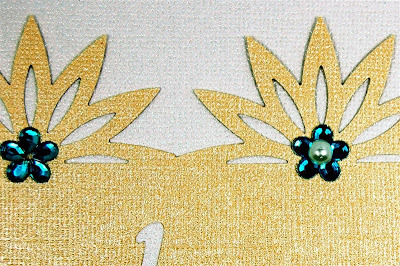 This cardstock has a lovely sheen and is very elegant for a special occasion card. For the card base I cut a piece of the pearl gemstone cardstock to 10 x 7 inches, then scored and folded it in half to form a 5 x 7 inch card. 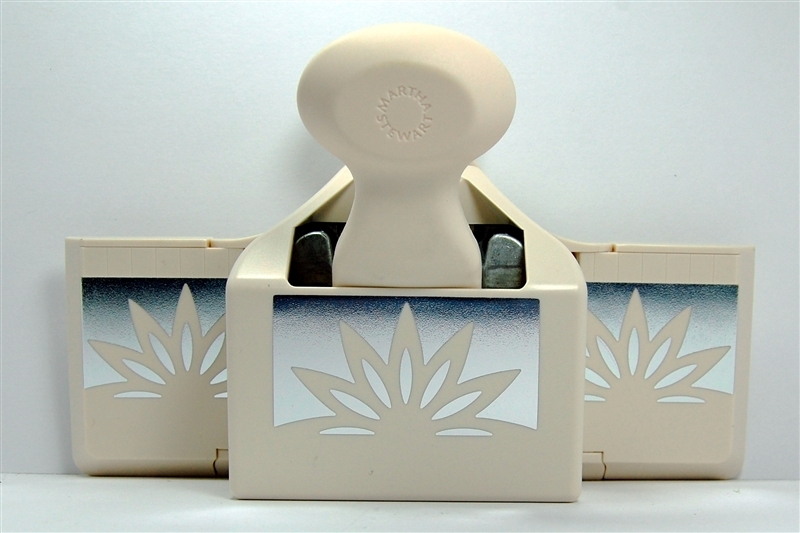 Next, I punched both sides of a 4 1/2 x 7 inch piece of the opal cardstock with this Martha Stewart "Aster" Deep Edge Punch. The sizing works out perfectly for a seven inch strip. The "Congratulations" sentiment is from the Martha Stewart Crafts Elegant Cake Art cartridge. I chose this sentiment because it had a short descender on the "g" and I could cut it in a larger size to fit nicely on the punched strip. 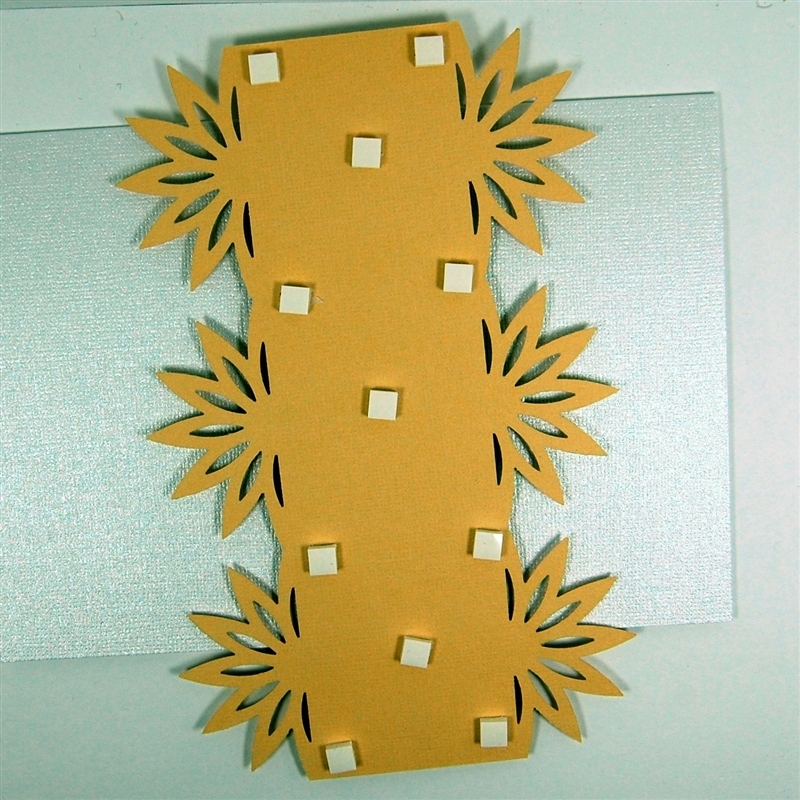 The punched strip is raised with foam squares to add dimension and a nice shadow line around the shapes. Adding a pearl to the center of each pure blossom gives a more finished look. Two more pearls accent the "C" and dot the "i." You could change the color of the pure blossoms to suit the wedding colors. If you'd like to see more Creative Charms projects on my blog they are labeled "PR - Creative Charms." 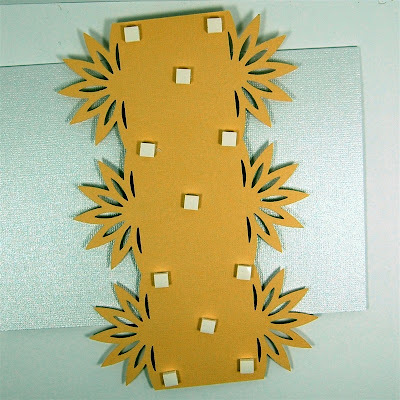 All through the hop you will see lots of ways to use these lovely embellishments. In case you get lost or confused along the way here is the list of blogs in order. Goodbye and all the best to the designers who are finishing their terms. The new team is listed in the right side bar. I am looking forward to working with all of them. The word you need to collect from my blog is "TO." 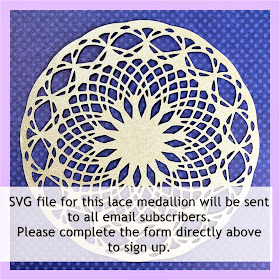 Once you have the complete message you can send it to Midori (midori@creativecharms.com) for a chance to win the Grand Prize - one each of the Kit and Deal for May! The deadline to send the answer is midnight Sunday May 1st (EST). 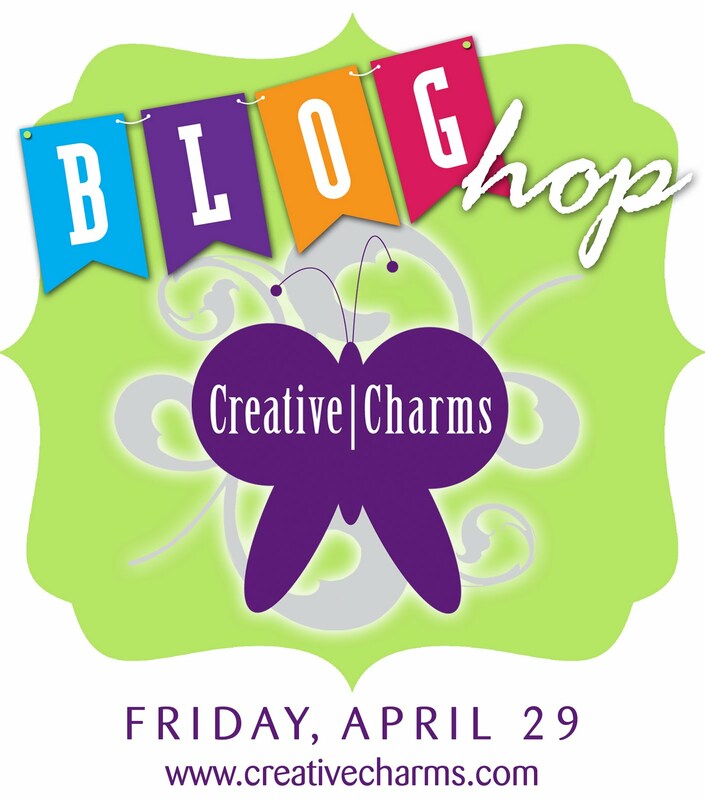 The Grand Prize Winner will be announced on Monday, May 2nd on the Creative Charms Blog. I will also choose one comment from this post by random draw and send that person a package of Gradient Pearl Stickers in white - perfect for a wedding project! I'll post the name of the winner on Monday. Have fun hopping - and I hope you enjoyed the Royal Wedding if you watched it this morning! link to Discussion Day 2 - How much is enough? I love this MS border punch. I don't know how I have missed it before (unless it's new.) Very pretty card. I love the card and I have a wedding coming up in August for my daughter! I like your use of pearls with the radiant gems. Makes it very special! Diane as always you are a bundle of inspiration! I have a niece getting married in June and this would make a beautiful card done in her wedding colors. TFS and the chance to win. Beautiful card. 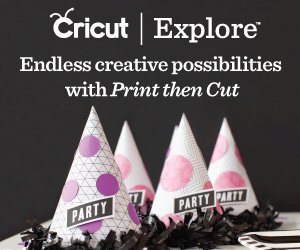 I was introduced to CC by you and one product I love is their 3/8" polka dotted ribbon. Love the card! You guys are doing a great job on the blog hop.........thanks for the chance to win! 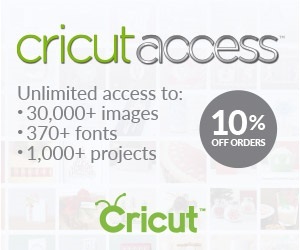 You are really helping me use my Cricut more. I LOVE this card!!! 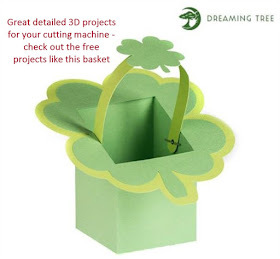 You always have such great projects, thank you! The Royal Wedding was great - like watching a fairy tale come to life! Beautiful card! Thanks for sharing your talents with us. It's a beautiful card! The charms are just enough without being distracting. Wonderful! Beautiful card, Perfect for todays events. Im so addicted to MS punches. 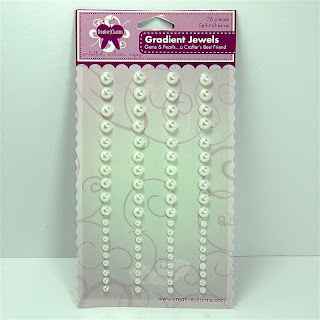 And I love gradient Pearls. I use them all the time. Can never have enough of those. Beautiful card! I have not seen this MS border punch...it is very elegant. The cake carts seem to have great phrases...must check them out. I love how you placed the gem stones and the pearls on the lettering. I always get the best ideas from your blog, Diane. You are super-talented!!! Cheerio!! I just love your work!! The coredinates card stock and the creative charms just work so well togther!! Very pretty. I'm really liking the MS cake carts. Thanks! What a lovely, simple and elegant card, Diane. The gems and pearls add a perfect finishing touch. I don;t think I've seen that Martha punch before. It's a nice one. Thanks for sharing. Fun card!!!! Thanks also for a chance to win! I have this punch and I haven't used it yet thanks for sharing your card. You've given me an idea on how to use this punch! What a beautiful card thanks for sharing it. Lovely card! It seems so simple yet so elegant too. Went over to my daughter's to watch the wedding..she TIVO'd it. 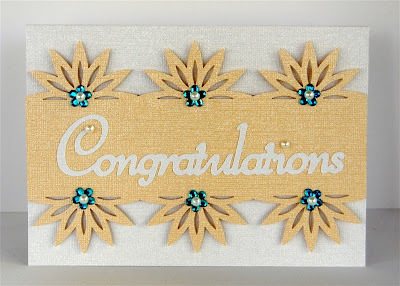 Good follow-up with your Congratulations card.. pretty. 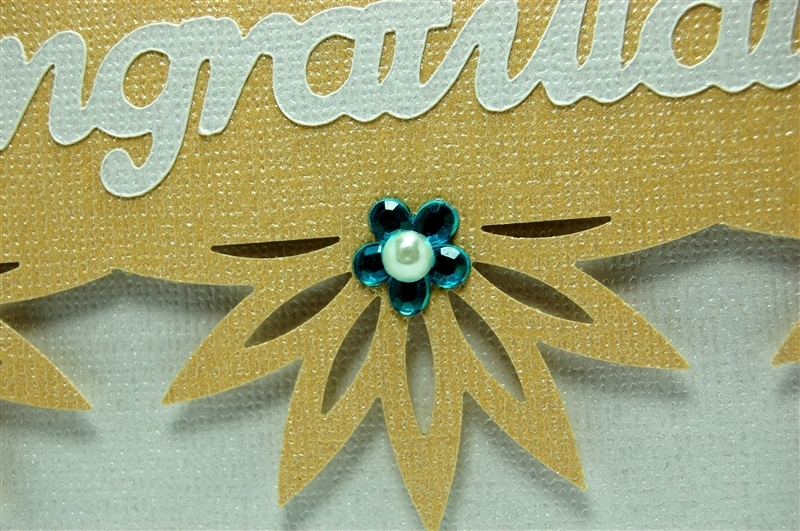 Great card and tutorial Diane! Very Elegant card Ilove the MS punch haven't seen that one before. The bling is beautiful. Oh I am loving this! Wow Diane - what a stunning card! So elegant and fun at the same time :) Thanks for sharing all the how-tos! I am a new subscriber. love your card! everything about it! Beautiful card! Love the colors you used! The gem flowers with the pearl in the middle was the perfect embellishment to the card. New follower, looking forward to seeing all your creations! Thanks for sharing and thanks for the chance to win! Love this punch - you are such an enabler!! So now I need this punch and some of these Creative Charms - I've got to stay off the net - TFS!!! Beautiful and elegant as always with your creations. I really must get the MS cake cartridges and I love love love this punch. Love the card and all the accents you used. Great work. Love your card! A great day for a wedding and for a blog hop! Thanks for sharing - gotta hop!!! I wonder if I lived next door to you if your creativeness would somehow rub off on me?? ;0) Lovely as usual! Love your card, Diane. I just made a wedding card myself and will be making a wedding album for the happy couple as soon as I can get my hands on the pictures. I could sure use those pearls! LOL Thanks for sharing. 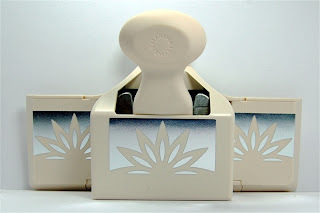 I have never seen that particular MS punch - it works beautifully with those gem flowers! The card is elegant & perfect for a wedding. This card is lovely! Perfect for a wedding or a graduation! I enjoyed the blog hop also! Thanks for a chance to win! What a lovely creative style you have. And I just found your blog and am now a follower. So very nice to meet you. 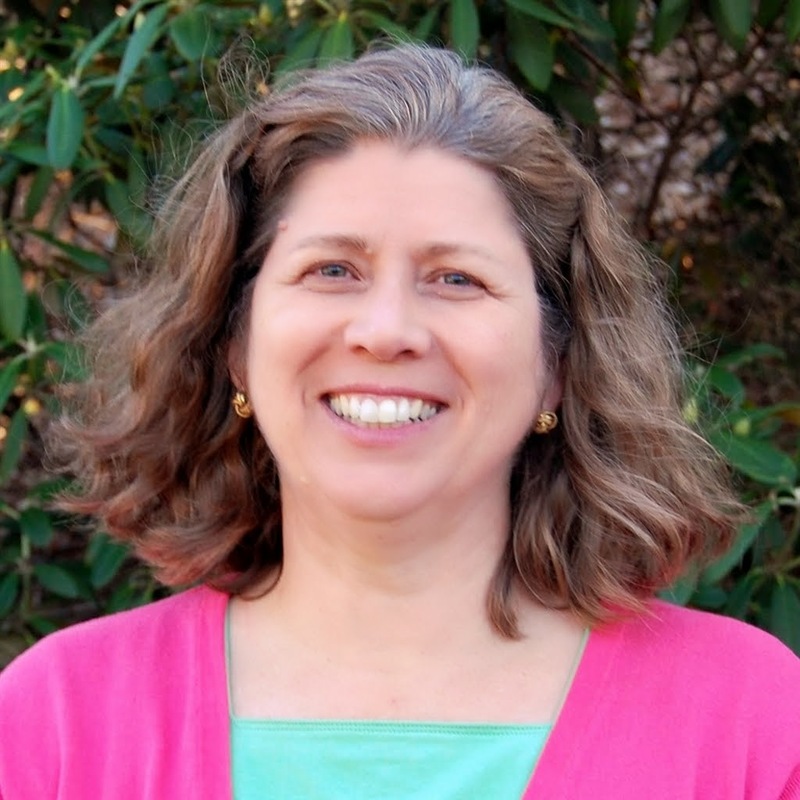 Stop by my blog sometime and give me a shout out! Another lovely card. 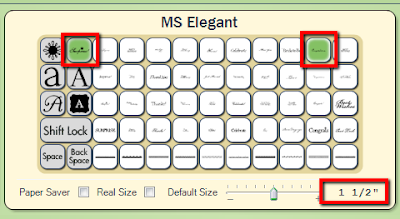 I need to get the MS All occasion cart as I love the word art. Thanks the blog was fun. I love that card! That punch is so cool! 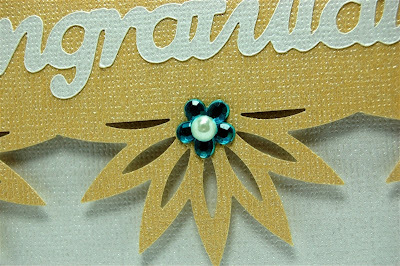 I have become hooked on Cretive Charms products because of your blog Diane. There stuff is beautiful. 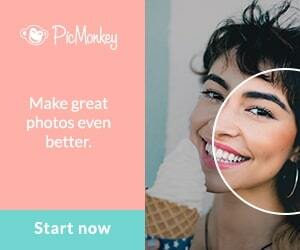 Thanks for your great blog! Very elegant card--the cardstock and gems are perfect. Pearls in the centers of the flowers...great idea! Beautiful! 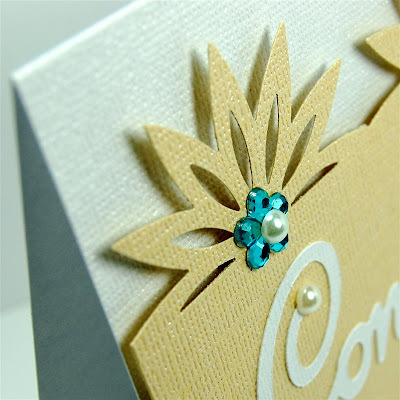 Gorgeous card - love the accents! WOW I just love that! I'm really starting to add dimension to my projects too. I love the way it looks! Great card, but you should only be using punches that I have -lol. Discussion Day #2 - How much is enough? 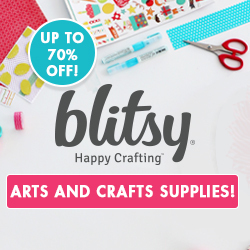 Discussion Day #1 - Why do you Craft? Well - it's about time - let's celebrate!! !